New Rochelle, NY, January 23, 2019–A new Centers for Disease Control and Prevention (CDC) study found that smoking in the three months prior to assisted reproductive technology (ART) treatment was associated with higher adjusted odds of cycle cancellation resulting in no embryo transfer and cancellations before fresh oocyte retrieval or frozen embryo transfer. Associations between smoking and selected ART clinical outcomes are described in an article published in Journal of Women’s Health, a peer-reviewed publication from Mary Ann Liebert, Inc., publishers. 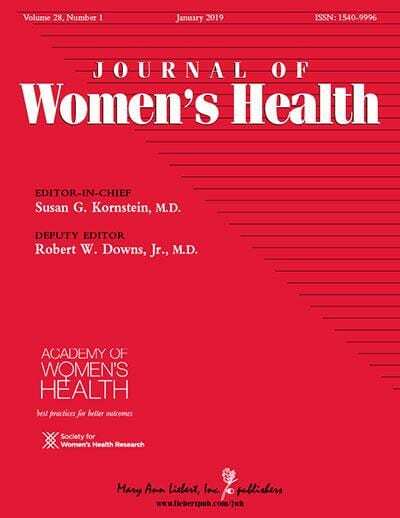 Click here to read the full-text article free on the Journal of Women’s Health website through February 23, 2019. This was a retrospective cohort study which used National ART Surveillance System data on ART treatments performed between 2009 and 2013 in all U.S. states and territories. In “Smoking and Clinical Outcomes of Assisted Reproductive Technologies,” Karilynn Rockhill, MPH, CDC (Atlanta, GA) and Oak Ridge Institute for Science and Education (Tennessee) and colleagues from the CDC found that more than 12,000 ART cycles during this period were potentially exposed to smoking. Although smoking increased the odds of cycle cancellation, associations with other clinical outcomes were not significant.